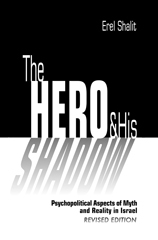 In our prior paper, “The Therapist as Musician: Ferenczi and his Use of the Orpheus Myth: A Guide for the Contemporary Therapist” (Leib and Moss, 2013), we drew upon the mythical figure of Orpheus and his musical sensitivities as a model for the clinical stance of today’s therapist, as did the pioneer psychoanalyst, Sandor Ferenczi. In this paper I will look at the last, more puzzling, part of the myth, in which Orpheus disobeys the gods’ injunction, looks back at Eurydice and thereby brings disaster on himself and his lover, Eurydice. I will also look at another myth, that of Lot’s wife in the Old Testament, who, like Orpheus, disobeys an injunction not to look back – in her case, on Sodom - and so was punished by being turned into a pillar of salt. I will examine how these warnings not to look back are relevant for our work as psychodynamic psychotherapists. 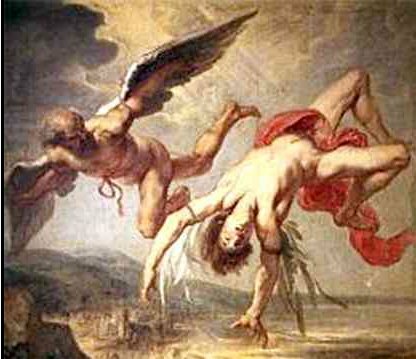 Why did the Greek gods, in the case of Orpheus, and the Old Testament God, in the case of Lot and his wife, specify these injunctions against “looking back”? 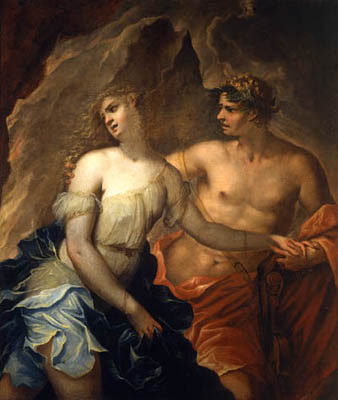 Why did Orpheus and Lot’s wife ignore the injunctions? What are the implications of looking back or not looking back for us as human beings? And what is the relevance of this issue for psychodynamic psychotherapy? Perhaps we should not be asking, which is better, to look back or not to look back? Rather, we should be asking a different set of questions: with which patients is “looking back” good psychotherapy, at what points during therapy is it helpful to do so and how, in fact, do we help a patient look back? Most of us who are trained in a psychodynamic approach subscribe to the notion that “looking back” can lead to new understandings about oneself, which in turn can help in personal transformation, i.e., “move forward”. But, there is a downside to "looking back." It can sometimes lead to being stuck in the past. Freud (1914) himself dealt with this problem when he wrote about the repetition compulsion, i.e. certain people are stuck in the past and destined to repeat their early, self-destructive patterns. Later writers (Levy, M., 1998) have re-examined this tendency in some people to recreate old, neurotic patterns both inside and outside the clinical setting. They call this phenomenon “re-enactment”, and the bottom line is that such people are unable to leave behind old, self-destructive behaviors and move on with their lives. In the Old Testament we find a metaphorical reference to this kind of “stuckness” in the story of Lot and his wife. 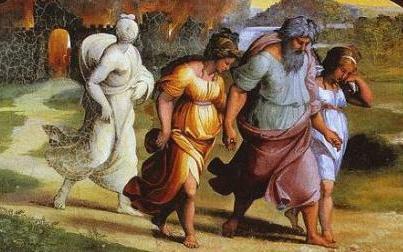 In the legend, three angles come to Sodom and advise Lot, the one good man in the whole city, to take his family and flee before the city is destroyed. Their warning contains one stipulation: no one can look back. Lot’s wife disobeys the warning and for reasons open to interpretation looks back over the doomed city. 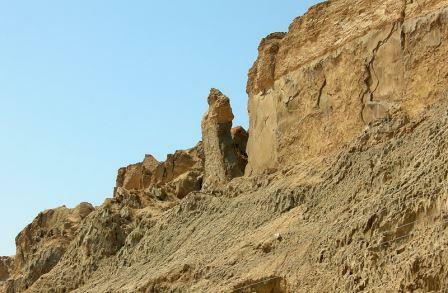 For her disobedience she is turned into a pillar of salt (which some claim can still be seen today in the harsh, stone mountains surrounding the Dead Sea). If, as we wrote in our prior article, legends can be a guide for clinical work (Shalit, 2008; Rycroft, 1995; Ferenczi, 1932, Jung, 1996, McGurn, 1998), then it behooves us to wonder not just about the tragic ending of the Orpheus story but also about the punishment of Lot’s wife. It seems as though there is a universal injunction, appearing in different legends from different eras, against “looking back”. 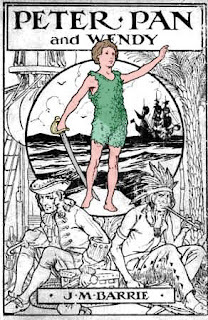 We can wonder, for example, what is the symbolic meaning in the universal story of Peter Pan of the fact that young Peter has no shadow (when according to Jungians, we all have a shadowy side about which we are less aware and usually don’t want to know about, i.e., don’t want to look backwards, or behind our backs at our shadows). What are the implications for our clinical work of “looking back”? This question is particularly relevant to psychodynamic psychotherapists because the injunction to not look back contradicts one of psychoanalysis’ basic assumptions, that looking back over our lives is an essential condition for transformation and growth? The urge to look back, and the injunction against doing so, has been related to differently by different writers. Freud himself wrote in his essay, “Remembering, Repeating and Working Through” (Freud, 1914) of the need to find solutions to old issues and move forward. Ferenczi wrote about the importance of creating a particular music-like attitude in the consulting room which can help the patient move out of his old patterns. Lot and his daughters did not look back, he points out. They went on to survive and even have sexual lives, however perverted (He slept with his two daughters). For Heyd, looking forward is the way to revitalization and survival. Ferenczi, one of the original followers of Freud, has expressed the opposite point of view, namely, there is value in looking back if the patient is to change. This is a basic assumption of classical psychoanalysis. But, Ferenczi recognizes, perhaps more so than did Freud (who unlike Ferenczi was never in psychoanalysis) the pain and anguish that may be involved in “looking back”, particularly when working with severely traumatized patients. He developed an approach he called Orpha, based on the notion that severely traumatized patients still have a life force, which helps them function in the world, albeit a force without affects or joy . Forging affective-laden alliances with these split-off, deadened parts of the patient’s personality is the critical factor in helping the patient move forward in his/her life (Smith, N., 1999; Ferenczi,S., 1932; Aron and Harris,1993). For Ferenczi, the traumatized patient metaphorically went to sleep, disconnected to the events going on in the real world around him. A legend that reflects this kind of escapist coping would be that of Rip Van Winkle in the 19th century, American folk tale, who fell asleep for twenty years and when he awoke, found he could no longer fit in to the changed world around him (Burstein, A., 2007). Ferenczi urges the therapist to try and connect with the patient’s various, dissociated parts, infusing each with hitherto cut-off affects. Part of this means the therapist and the patient gently and sensitively look back over the patient’s early life and traumatic experiences and help the latter begin to move forward. The therapist waits for the right time to make his interpretations. Ferenczi advocates a therapeutic stance that is more egalitarian and mutual than the authoritarian, hierarchical one advocated by Freud. He sees the therapist an Orpheus-like musician who wins the patient’s trust not just with what he says but the voice tone with which he says it. With this stance he anticipates by decades the now fashionable inter-subjective approach. Like Freud, Jung and others, he certainly does return to the original trauma but in a very particular way, one that helps the patient expand his self-awareness and return to life. While Freud is sometimes called the Father of Psychoanalysis. 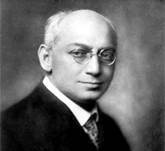 Ferenczi has come to be known as the Mother of Psychoanalysis, owing to this more “maternal” approach. And so we return to a central clinical dilemma familiar to most of us: the patient may use “looking back” as an excuse to remain fixated in his past. This does not necessarily mean we should avoid looking back. Without doing so, there is little hope for personal transformation. Whether the patient uses this return to past traumas to move on depends on his motivation to change and the attitude and technique of the therapist. Perhaps the injunction not to look back, as reflected in the two legends, should not be seen as an absolute imperative but rather as a warning of the dangers involved in doing so. The above meanderings through aspects of the issue of “looking back” reminds me of the Prolonged Exposure approach to treating trauma (Williams, Cahill, Foa, 2010). In PE, the therapist not only requires the patient to look back on a particular traumatic event or relationship but the therapist insists the patient go over all the details, writing them down, reading them out loud and discussing them, time after time. The atmosphere of this approach is not the gentle, slow, non-intrusive one recommended by Ferenczi but a confrontational one, forcing the patient to look at events and relationships from his past he may wish to avoid thinking about. According to PE the therapeutic value of this approach lies not in simply recovering buried memories but in processing them over and over, so they gradually become less toxic. The issue if, when, and how to look back arouses strong feelings in the therapeutic community, especially when considering the treatment of trauma. I am reminded here of a provocative psychiatric conference held some years ago in Tel Aviv, the subject of which was a comparison of two different clinical approaches to helping Holocaust survivors. On the stage were a respected psychoanalyst and a well-known researcher from the Sleep Disorder Clinic at the Haifa University. The psychoanalyst argued that it was necessary for the therapist to assist patients recover buried memories from their concentration camp experiences. The sleep researcher reported that recovering traumatic memories only increase anxiety and panic, which in turn disturbs healthy sleep. His results suggested it was better to leave the past alone, i.e. to not look back. In front of an audience of scores of psychiatrists, psychologists, social workers and other mental health workers the two speakers began to argue vociferously about the merits of each approach. Their arguing spread to the audience and soon everyone was yelling at everyone else, like opposing fans at a football match, reflecting a deep divide among clinicians regarding the value of “looking back”. I am also reminded of US Veterans Administration official guideline paper on the treatment of soldiers who had developed PTSD after having returned home from battlefield experience in Iraq and Afghanistan (Management of Post-Traumatic Stress Working Group, 2010). In the paper was a list of no less than twelve different treatment modalities, only one of which was psychodynamic psychotherapy, the one approach which gives a central place to looking back on difficult, traumatic experiences. Many of the other recommended modes were behavioral ones, focusing on here-and-now interventions, e.g. creative art therapies, psycho-educational approaches, social therapies and spiritual counseling. Some years ago I published an article about my clinical experiences with a man who had been in four separate terrorist attacks in Israel. (Moss, E., 2009). The manuscript I initially submitted purported to demonstrate the efficacy of the psychodynamic approach for treating PTSD. 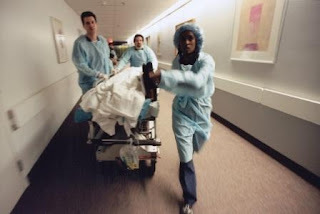 I concluded that there was definite value to “looking back” with the patient over the latter’s life – the four attacks and also his earlier life - to help him become “unfrozen”. When I submitted his manuscript, the editor suggested I include references to the growing field of Integrative Psychotherapy, which advocates the use of different treatment modes at different stages in the therapy. Some of these modes give “looking back” a central place, others do not and instead focus specifically on diminishing the present-day, PTSD symptoms. The editor’s remarks helped me move from my own “frozen” allegiance to psychodynamic psychotherapy to a more flexible, integrated approach. As stated in the final, published paper, there seems to be a time for looking back, and a time for concentrating on the relief of present-day symptoms. Those of us trained in psychodynamic therapy would do well to be guarded against too narrow a loyalty to our treatment approach. Having said that, I now want to report on the treatment of Aviva, as an example of the merits of “looking back” in therapy. Aviva was an eighty year old Holocaust survivor, who came to therapy because of frequent nightmares with Holocaust and wartime themes. These had begun when her granddaughter interviewed her for a school “Roots” project and had asked her very probing questions about her early life, about which for decades she had avoided thinking. Her nightmares increased in frequency and intensity, and soon she developed anticipatory anxiety, afraid to go to sleep altogether. When Aviva came to therapy, she was simply exhausted from lack of sleep. She talked mostly about her dreams, and with her therapist’s help, began to find useful meaning in them. She learned to trace upsetting events and themes in the dream stories to events and themes in her real life. I encouraged her, trying to create the kind of gentle, music-like atmosphere recommended by Ferenczi. Gradually Aviva became less afraid of her dreams and even developed a curiosity about them. She found our discussions intellectually satisfying and emotionally relieving (Freidman, R.,2008). Perhaps, as her dissociated parts became more and more infused with affects, she became willing to discuss her awful childhood, her excruciating wartime experiences, her recovery during the following years in Israel, the eventual death of her husband, with whom she had been so close for all the years, and her subsequent mourning and grief when he died. There was a marked improvement in the quality of her sleep. Much has been written about resistance in psychotherapy. It is impossible to consider the injunction against looking back without referring to this main stumbling block in psychodynamic therapy. While most of us adhere to the Socratic notion that the unexamined life is not worth living (West, 1979), the sensitive therapist is only too aware of how painful it can sometimes be to look at ones past. Patients often don’t want to go to these places and display “resistance”, which Freud and his followers considered an obstacle to be overcome (Freud, 1959). Richard Billow relates to the reluctance of some people to “look back” (2003). 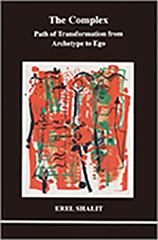 Drawing on Bion (1962), he describes a struggle between forces in an analytic therapy group that push for contemplation, analysis and transformation (which by definition includes “looking back”) and a counter-force – labeled by Nitzun as the ‘anti-group (1996) - which doesn’t want to know. The anti-group is a form of “resistance”. One is reminded here of the Japanese legend of the Three Monkeys (Meider, 1981), one with its hands over its eyes, another with hands over its ears and the third, with hands over his mouth. The legend has entered Western culture, coming to reflect a desire to not know about difficult things going on around one. Is not wanting to look back a form of pathological denial? Not always. I once treated a couple who had left Argentina and fled to Israel during the dictatorship of the colonels. They spoke about problematic issues in their present-day lives, and the therapy seemed to be going well. So well, in fact that I was lulled into a false sense of confidence that I could do deep explorative therapy with this highly-educated and cooperative couple. At the beginning of one session, the husband mentioned that before they left Argentina, he had gone to a jail and visited a cousin who later would become one of the “desaperacidos”, never to be seen again. I enthusiastically encouraged him to talk more about the loss. The patient began crying wretchedly and to my dismay, never came back again. Clearly, looking back on his trauma was not helpful for him – at least at that time. The above anecdote suggests that the success of “looking back” in therapy is also a matter of timing. We know that at the outset of therapy a patient may only want to explore concrete problems in his everyday life. But, as he continues along his therapeutic journey, he may begin to make connections between these present-day events and/or experiences in his past (Casement, 1992). It is the task of the dynamic therapist to help raise the patient’s curiosity about all aspects of his life and this includes learning how his past might be influencing him today. But, to do so requires patience and the ability to wait for the right moments. This is the art of psychotherapy. Judith came to therapy because of very real difficulties with her highly intrusive mother. The first meetings were very concrete and directive, with much discussion devoted to how she could handle her mother in a way which would reinstate her sense of control. Within a few meetings, Judith had tried out some new behaviors, and they seemed to work. Mother telephoned less, cut down on her visiting and advice-giving and she and her daughter had several, intimate and meaningful talks, something they hadn’t had for years. Excited by this initial success, I began to try and link together these mother/daughter behaviors to their earlier life experiences. This led to painful discussions about earlier relationships, not just with her mother but with her father who had abandoned the family, with her husband, whom she discovered had had an affair and with an employer, who had connived to get her fired. I was very enthusiastic about the patient’s seeming willingness look back into these old and painful experiences and was lulled into thinking that she shared my enthusiasm. It reached such levels that I was not aware I was suffering from “hubris”; and like Icarus, who ignored the gods’ warning not to fly too close to the sun, I was about to crash. The stimulus for this article lay in two legends, each of which suggests that for people who wish to change and develop, “looking back” may be the wrong course. This admonishment runs counter to one of the basic assumptions in psychodynamic psychotherapy and to a central Socratic notion that it is important to examine ones life. How to understand this contradiction? Like so much in life, certain issues concerning the therapeutic process cannot be reduced to black and white. So it is with the one under consideration here. There is an expression attributed to the nineteenth century, American Presbyterian preacher, Henry Ward Beecher, “We give our children two things: roots and wings.” (Applegate, D., 2006). 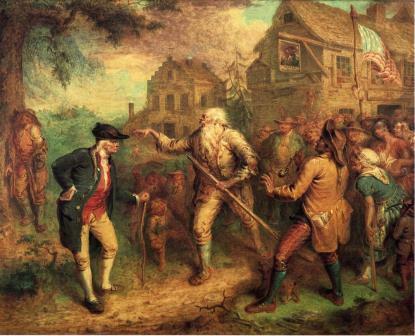 In this short article we focused on the first of these two legacies – roots. We have concluded that not looking back at where we came from may be less an injunction, i.e. don’t do this, do that!, than a reminder of the dangers inherent in self-exploration. Applegate, Debby (2006), The Most Famous Man in America: The Biography of Henry Ward Beecher, New, York, Doubleday Religious Publishing Group. Aron, L. and Harris, A. eds. (1993), The Legacy of Sandor Ferenczi, Hillside, N.J.: The Analytic Press. 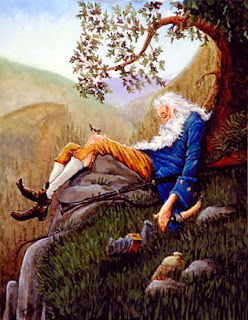 Burstein, Andrew (2007) The Original Knickerboker. The Life of Washington Irving, New York: Basic Books, 117. Billow, R.(2003), Relational Group Psychotherapy, London, Jessica Kingsley Publishers. Bion, W.R. (1962) Learning from Experience. London. Heinemann. Casement, Patrick (1992), Learning from the Patient, London, Guilford Press. Ferenczi, Sandor (1932), The Clinical Diary of Sandor Ferenczi, Dupont (eds.) Cambridge, M.A. , Harvard University Press. Freud, S. (1914) “Remembering, Repeating and Working Through”, in Lacan, Jacques (1994), The Four Fundamental Concepts in Psycho-Analysis, London, p. 49. Freud, S. (1959) “Freud’s psychoanalytic procedure”, in J. Strachey (Ed. & Trans) The Standard Edition of the Complete Works of Sigmund Freud, Vol.7, pp.249-270, London, Hogarth Press. 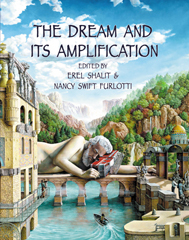 Friedman, R. (2008), “Dreamtelling as a Request for Containment – The Uses of Dreams in Group Therapy”, International Journal of Group Psychotherapy, Vol.58 (3). Heyd, David (2004) “Ressentiment and Reconciliation: Alternative Responses to Historical Evil”, in Lukas Meyer (ed.) Justice in Time: Responding to Historical Injustice, Baden-Baden: Nomos. Jung, C.G. (1996), The Archetypes and the Collective Unconscious, London, p.162. Leib, Z. and Moss, E. (2013), “The therapist as musician: Ferenczi and his use of the Orpheus myth: A guide for the contemporary therapist”, June 2013. Levy, M., (1998), “A Helpful Way to Conceptualize and Understand Re-enactments”, The Journal of Psychotherapy Practice and Research, Summer 7 (3):227-235. Management of Post-Traumatic Stress Working Group, (2010), “VA/DOD Clinical Practice Guidelines for Management of Post-traumatic Stress”. Washington (DC): Department of Veterans Affairs, Department of Defense. 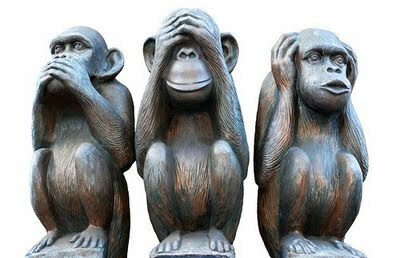 Meider, Wolfgang (1981) “The proverbial three wise monkeys”, Midwestern Journal of Language and Folklore, 7.5-38. McGurn, Peggy A. (1998) The Divine Child Archetype in Jungian Psychological Thought and Practice, Pacifica Graduate Institute. Moss, Eric (2009) “The place of psychodynamic psychotherapy in the integrated treatment of post-traumatic stress disorder and trauma recovery”, Psychotherapy Theory Research and Practice, 46(2):171-9. Nitzun, Morris (1996) The Anti-Group: Destructive forces in the group and their creative potential, London and New York, Routledge. Rycroft, Charles, (1995), A Critical Dictionary of Psychoanalysis, London, 2nd Ed. 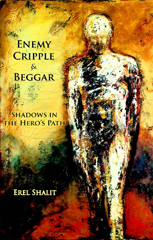 Shalit, Erel (2008), Enemy, Cripple, Beggar, Fisher King Press, p.83ff. Smith, N. (1999), “From Oedipus to Orpha: Revisiting Ferenczi and Severn’s Landmark Case”, The American Journal of Psychoanalysis, vol.59, No. 4, pp.345 - 366. West, Thomas (1979) Plato’s Apology of Socrates, Ithaca: Cornell University Press. Williams, M.; Cahill, S.; Foa, E. (2010) “Psychotherapy for Post-Traumatic Stress Disorder”, in: Textbook of Anxiety Disorders, Second Edition, ed. 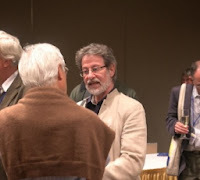 D.Stein, E.Hollander, B.Rothbaum, American Psychiatric Publishing. Eric Moss, PhD, is a senior clinical psychologist in private practice in Kfar Saba, Israel. He is a staff member of the Israeli Institute of Group Analysis. For correspondence, e-mail: hemoss@bezeqint.net.